A new €500,000 fund has been established to support the growing number of start-ups focused on technology for the financial sector. 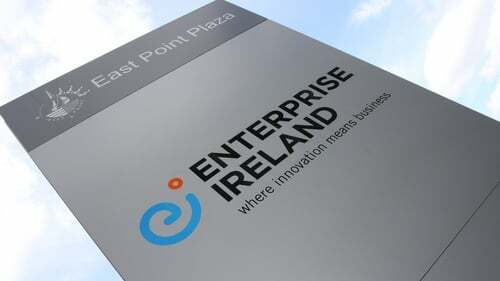 Enterprise Ireland's latest Competitive Start Fund will offer up to €50,000 in equity support to early stage Financial Technology - or FinTech - companies, as well as access to support from industry experts and shared office space in Dublin city centre. The new fund is part of the IFS2020 strategy, which aims to boost Ireland's global importance in the financial services industry. "FinTech is a really exciting opportunity, especially through the lens of job creation and export growth," said Leo McAdams, who manages Enterprise Ireland's Financial Services and Business Process Outsourcing division. "Ireland is in a really strong place when you're looking at the sector - we have companies that are world class already in this area, particularly in the payments area and in the governance, risk and compliance space." One such example is Currency Fair, which established in 2009 and offers a way for users to exchange currencies without paying large fees. And while the dominance of a handful of big financial players might put some start-ups off entering the space, its CEO Brett Meyers said that is actually what makes it so attractive. "There's a lot of areas of finance that haven't evolved a huge amount over the years whereas a lot of other industries have been seriously disrupted by technology," he said. "We're finally starting to see that coming through for consumers and small businesses." Ireland is well-placed to capitalise on this, he said, as there is a lot of highly skilled talent based here, in both the financial and technology worlds. There is also an increasingly positive attitude towards enterpreneurs, and a growing start-up scene in places like Dublin. "I think there's a really good and building tech scene here," Mr Meyers said. "You can also talk about other things like connections to the US and Europe, so I think it's a good place to start a company." For those that are thinking of doing so in the FinTech space, Mr Meyers says the best advice he can give is to seek out support from experts and peers as quickly as possible. The Enterprise Ireland scheme is designed to offer just that kind of support - with the financial investment coupled with membership to Dublin's Dogpatch Labs, where a variety of start-ups work side-by-side in the heart of the city. One feature of that arrangement is also Ulster Bank's Innovative Solutions Team, which can offer its help to companies within the co-working space. The programme is open to any early stage start-up - or individual with an innovative idea - and the application process opens on June 1. According to Mr McAdams, they are hoping to hear from a range of business types - and they will be keen to identify the ones with the most promise as soon as possible. "[We're looking for] a good management team, a good value proposition and we're going to look at this and say to ourselves 'can this company actually grow and scale'," he said. "And then the return to Ireland will be in terms of employment and exports." MORNING BRIEFS - The price of a barrel of oil passed $50 for the first time this year as markets began to price in their expectation of tightening conditions. Early this morning a barrel of Brent North Sea crude cost $50.01 in Asian trade, while a barrel of West Texas Intermediate was just behind that at $49.77 cent. Data released yesterday showed US crude inventories falling by 4.2 million barrels, largely due to a fall in production as a result of wildfires in West Canada. Unrest in Nigeria has also affected supply - though there remains no sign of a broader cap on production, with Iran vowing to continue to ramp up its output as it tries to regain the ground it lost while under western sanctions. *** Microsoft is to cut up to 1,850 jobs - mainly in Finland - as it seeks to scale back on its smartphone business. The US firm - which paid $7.2 billion to buy Nokia in 2014 - also said it would post a $950m writedown as part of the move - some of which would cover redundancy payments. Despite heavy investment Microsoft has so far failed to break the grip Google's Android and Apple's iOS have on the smartphone market - with recent data suggesting Windows devices accounted for just 1% of smartphone sales in the first quarter. Recently Microsoft also decided to sell its so-called feature phone division - which focuses on lower-end devices that are popular in emerging markets.